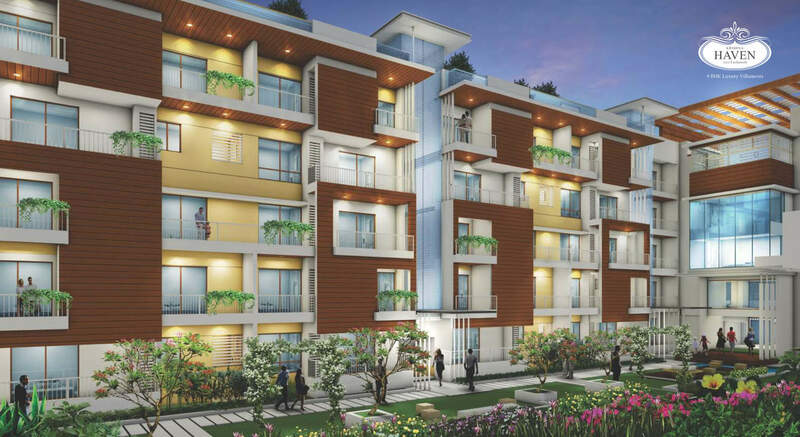 The shelter you are sure to admire, the facilities you would happily relish on; all this and more at Krishna Haven – an outstanding residential establishment by Krishna Enterprises located in quiet and harmonic surrounds of Yelahanka, Bangalore. 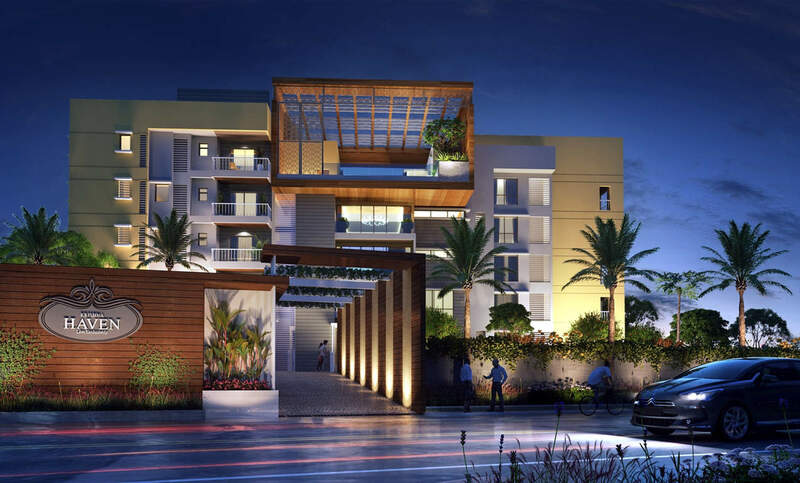 The project includes 60 premium apartments constituted over high rise elevations coupled with exclusive features and niceties. The residential towers are stylishly structured safe havens constituting 3 bedroom luxury apartments, set amongst green, lush surroundings. The abodes at Krishna Haven are skilfully fabricated indulging the science of space for creating roomy, sizable and stylish units. 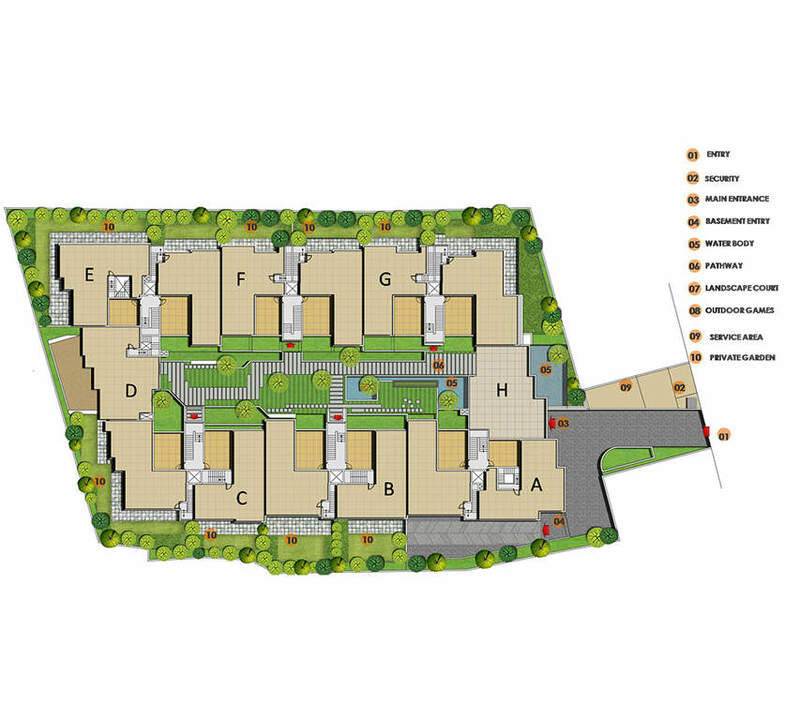 The apartments are vaastu compliant with good in-flow of breezy air and refreshing natural light. 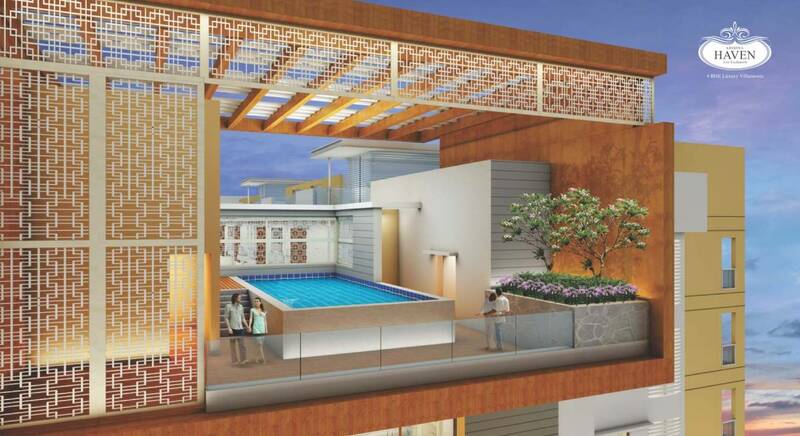 This residential community houses upscale amenities like signature clubhouse, gymnasium, yoga/meditation room, walking/jogging tracks, swimming pool, multi-purpose hall, children’s play zone, manicured gardens, tree-lined courtyards, indoor-outdoor sports arena, planned parking slots and round the clock security monitoring. 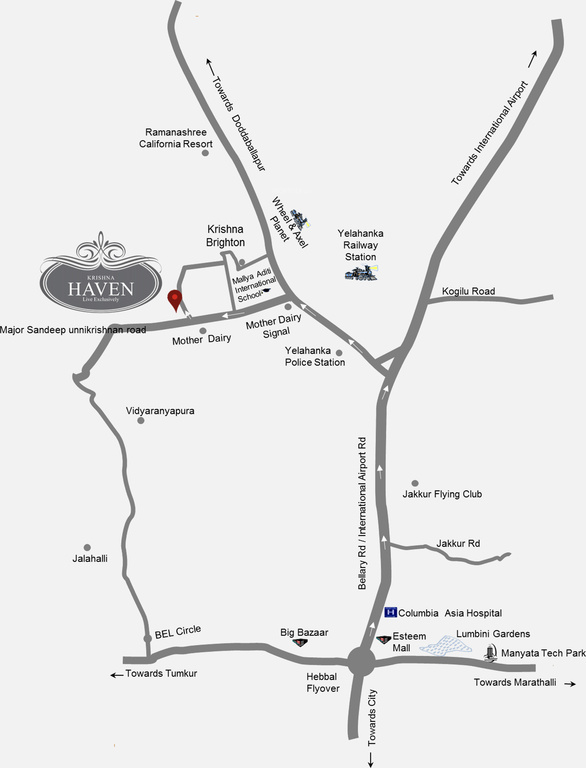 Krishna Haven is located in prime environs of Yelahanka, North part of Bangalore. 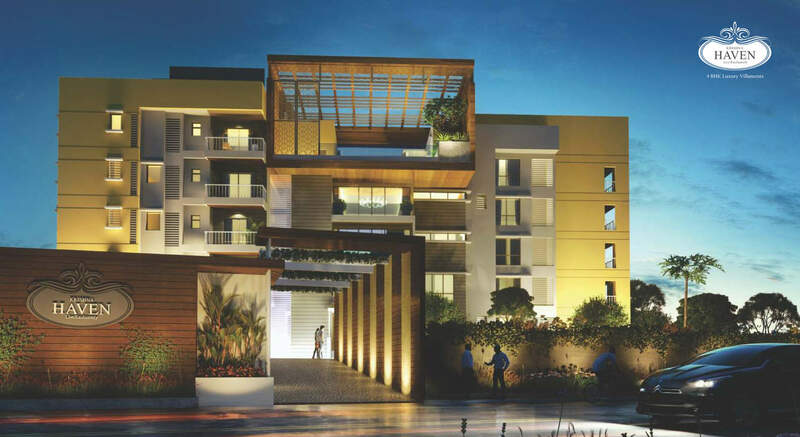 The area of Yelahanka has seen rapid growth in-terms of commercial and residential elevations and is powered with excellent physical and civic infrastructure. This zone is equipped with wide roads and broad flyovers which eases-out traffic and gives pleasant commute experience. Thepresence of reputed educational institutions, hospitals, IT hubs, shopping malls, multiplexes, supermarkets, banks and other social conveniences paves way for comfortable living to its in-dwellers. Krishna Enterprises (H&I) India Pvt. Ltd.